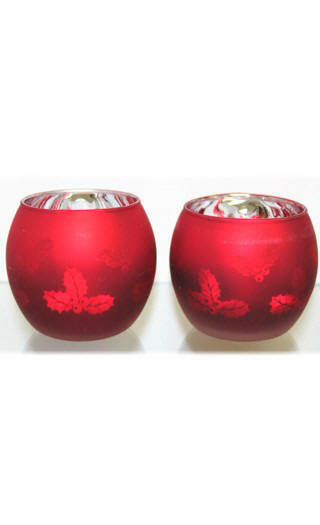 A pair of red holiday votives have a frosted red holly design on the outside of each votive with a bright silver votive interior. 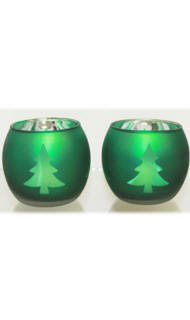 Each votive is 2.75" H and has a 3" diameter and can hold either a tealight or a votive. This item is sold as a pair and is packaged in a clear acetate box. The perfect addition to your holiday decorations!